Manufacturing and machine shop owners regularly say, “I tried the Internet, and it did not work.” Many of you reading this have said the same. However, that is outlandish to say; the Internet and digital marketing is the present and future. It is the tool used by businesses to grab more market share, especially from those neglecting an online presence. You can either work with technology or fail attempting to work against it. 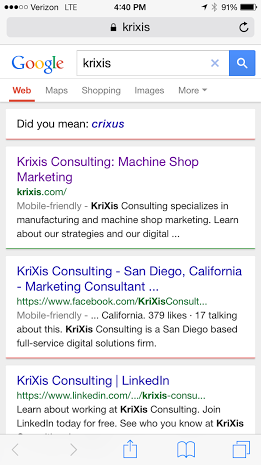 KriXis Consulting would like to focus on manufacturing and machine shop owners who have failed using the Internet. We are going to address seven reasons many decision-makers feel this way, and bulk them into two major categories: strategy and underestimation. This short article will improve your future decision-making, and should open your eyes as to why your previous efforts let you down. As with almost all business decisions you need to have a strategy, digital marketing is no exception. As an owner you can either develop this on your own, work with a professional, or outsource the work entirely. Working with an expert makes the most sense, however, no matter which approach you decide to take the below points should be taken into consideration. You know your business better than anyone else, and I’m sure you know your perfect customer. You know his/her personality, likes and dislikes, and even their favorite pair of jeans. Locally this perfect-customer is currently a paying client. Outside of your area, he/she has never heard of your business. The Internet allows you to instantly be on a global scale. You are no longer limited to those select few perfect customers in the surrounding area. Knowing your perfect-customer right off the bat will allow you to start a strategy to only attract business from those who fit the criteria of exactly what you work best with. Taking this approach allows you to attract these individuals from all across the country. 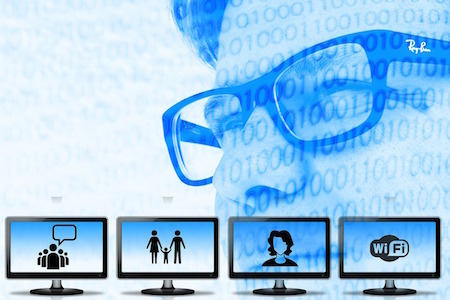 Building the profile helps a web developer build a website geared towards this individual. Strengths-Weaknesses-Opportunities-Threats (SWOT) is an easy to use, and highly effective tool when developing all strategies. The image below shows the simple setup for the analysis. Taking the time to have a few brainstorm sessions to fill out this chart will allow your manufacturing or machine shop to have a clear picture of what you excel at, along with visualizing areas you lack in. Business owner’s fail online, or think they fail due to setting unrealistic goals. Marketers sometimes promise the world in their pitch, but you need to stay grounded. 3,000 people are searching for “cnc machine shop” within your state. 1,000 people are looking for new employment. 1,000 people are looking to sign a contract within the next year. 500 people are looking for a service that you are not capable of. This leaves 500 people ready to looking for your services and ready to do business, but . . .
Only 100 people are actually making that search, they just average searching 5 times during the month. You are now left with a market of 100 potential customers. 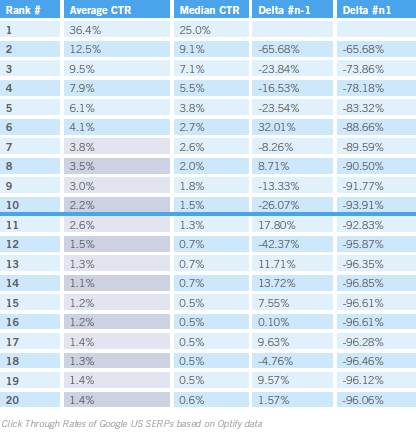 The numbers 1 & 2 spots on Google are going to receive over 30% of that 100, at least for initial traffic. Reaching number 1 can take over 6-months of services to reach. If you are not on the first page of the search results, only 16% of searchers will find your manufacturing or machine shop. That initial 3,000-person pool is now down to 16. Of that 16 maybe 3-4 are the customer you want to work with. For the first 5-months you may only be looking at 3-4 leads per month from your online marketing. Your digital marketing goals need to be long-term. Many manufacturing or machine shop owners are sold by the “bells and whistles” that marketers have to offer. You need to remove this train of thought from your initial digital marketing ideas, and focus on creating an MVP. The initial design for your online efforts should be investing as little time and money as needed in order to create a campaign that is effective. You need to understand how people will move through your website, and how to get them to act on your call-to-action. You and another manufacturing business owner are about to drag race. You’re building a 700-hp hotrod, the transmission can’t handle the power, but you do not know this yet. Your competition pulls up in a base model Chevrolet Cobalt. The light goes green, your transmission snaps and the Cobalt slowly, but easily won. You need to go back to the drawing board, but now the Cobalt can add a supercharger, bells and whistles, knowing they built something that works. Some people think having a website, and posting a few pictures here and there is all they need. Then call the Internet a hoax when people aren’t beating down their door for business. Others are somehow still oblivious to the entire digital world, and figure in time if they need to that they can quickly make the change. Both of these thoughts are destined for absolute failure, which is why you need to understand time needed to be invested for results and the different potential strategies. There is no overnight success in digital marketing. Your manufacturing or machine shop will not appear at the top of the first page of Google for quite some time, especially if you are just making a website for the first time. Do not convince yourself or be convinced otherwise. Search engines, such as Google, look at the age of your website’s address, so if you are just starting out it can take up to 6-months alone for Google to consider you a credible website. You also need to factor in creating a website that search engines (and customers) find useful. People have templates and general layouts, but being like everyone else will not put you ahead. Taking the time to develop your own effective and unique layout and content will require a combined effort from your marketer and yourself. Our research has shown that within the machining and manufacturing industries broad terms such as “CNC machining” and “machine shop” would be considered competitive. 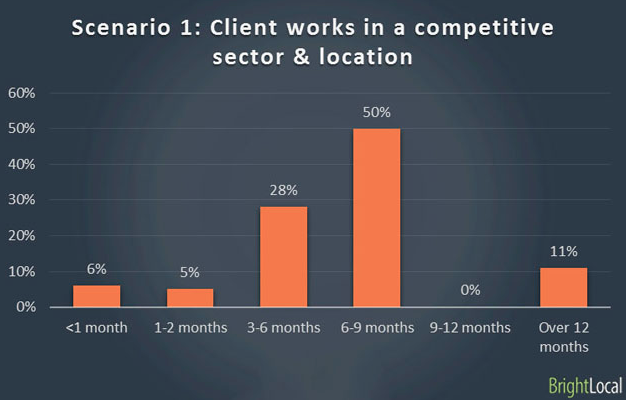 However, we aim to market our clients towards a niche since these are more likely to convert into customers. The image below shows the data regarding less competitive sectors. Bright Local’s research has shown that businesses with some optimization lessen this timeline, while businesses with poor optimization adds to this timeline. Digital marketers are equipped with a wide-array of strategies to help you reach your online goals. Each have pros and cons, and some work better in certain combinations. Marketing budgets, short-term and long-term goals, and commitment level play a role in what strategies are best for your manufacturing or machine shop. 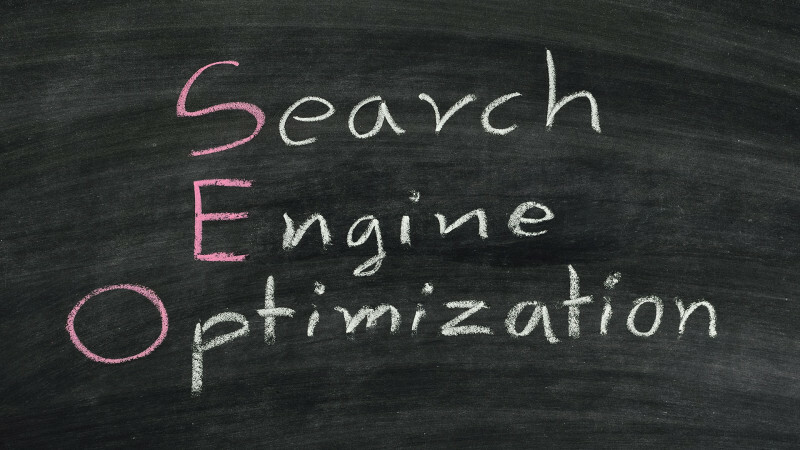 Search Engine Optimization (SEO) – A term many are familiar with, but do not understand that this is a more long-term investment. On-page (website) SEO work can help give a quick boost in rankings, however, many other factors are a part of long-term rising in the rankings, and they need to be working together. Local Search Engine Optimization (Local SEO) – This strategy focuses on having your business appear in the search results for a particular geographical area. This is great for the increase in individuals searching on mobile, but relates back to knowing what your perfect customer. Local SEO also has an impact on your overall SEO. Pay-Per-Click Campaigns (PPC Campaigns) – These automatically have you show up on the first page, but as an ad. You are charged each time that they are clicked, with prices based on the competitiveness of that particular word or phrase searched. These need to be carefully worded and targeted since they can quickly eat up a budget without showing an ROI. PPC also requires landing pages to be created specifically for the ad being clicked, a step that cannot be left out. Social Media Strategies – Many people feel that the manufacturing and machining industry does not play an active role in social media, this may be somewhat true now, but is currently changing. However, social media is an essential pillar for overall SEO. Using a well-planned social media strategy can give the boost you need to rank #1 on Google. Each of the four common strategies is attached to links if you are looking for more information. Lack of knowledge is a reason for failure in many aspects of life, showcasing your business online is no different. This is perhaps the biggest pitfall that I hear of. People know someone in the family or close to the family that is good with computers. These people are cheaper or willing to just help out, that should be a red flag, you get what you pay for. They can do more harm than good to your business. Do you want to have your company not shown in the best possible light? Do you want someone that is teaching himself or herself on the fly? You did not see any results from their work, but you need to ask yourself, were you really expecting to? If online efforts for your manufacturing or machine shop have appeared to fail, review these above common reasons. If you are looking to launch your first digital marketing campaign I would suggest using the above information as a checklist to help ensure success. You may have additional questions and concerns regarding marketing your business online, and we would be happy to answer them. You can look at the complete list of services offered by KriXis Consulting and contact us in order to help create a plan best suited for your needs and budget. Thank you for taking the time to read this, you can sign-up to be the first to receive our newest articles or share this sign-up page with others who would be interested. Your comments regarding this post are welcomed and encouraged. 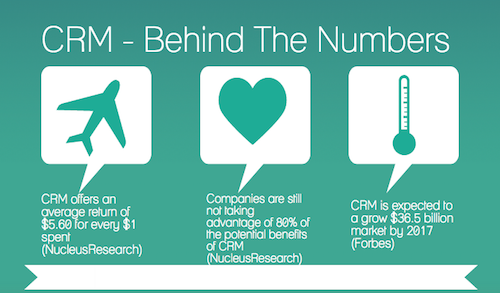 Many of you may be asking, what is CRM? CRM is a system for managing a company’s interactions with current and future customers. It often involves using technology to organize, automate and synchronize sales, marketing, customer service, and technical support (Wikipedia). CRM has been developed to better organize your business, which saves time and as we all know time is money. The following research has been broken down into three main categories of benefits: administration, customer service, and sales improvements. This should take 10-minutes to read and afterwards you will have a grasp on what CRM technology brings to your business. CRM allows you to track purchasing, find out where customers are purchasing from (website pages), measure how long the sales process takes, and see where each current project is throughout your sales and work pipeline. The information is visible throughout your entire organization. This allows you to break down each portion of your sales funnel, and track your strong points along with problem areas. Additionally, all of your current information regarding present and past clients can be added to the CRM (this includes their order history, contact info, relationships and all interactions with your business). Based on the information that is tracked above, you as the business owner can immediately make updates to optimize each portion of your sales funnel. 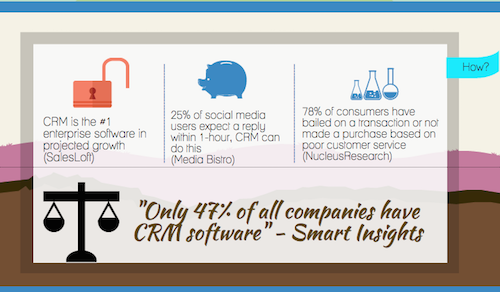 CRM delivers these results immediately, allowing no time to be wasted. CRM tracking benefits allow you to see exactly what buying or non-buying inquires are doing. You can track the entire buying process; for example, how are customers finding you, what website pages are being viewed most prior to customers taking action; the list of possibilities is endless. This gives you cues as to whether a deal is likely to close, or how long until it does. All of this information can also be tracked on an individual basis, with personal updates for each interaction. It is not uncommon to have a Rolodex or countless excel spreadsheets; containing information on customers, their orders, sales team efforts, etc. CRM allows all of this information to be stored in one place, which is accessible by any device connected to the Internet. Information can easily be lost or misinterpreted through the sales and production processes. CRM ensures that all information is organized and tracked with reminders and notes are input at each point of customer contact, along with each step taken by employees. CRM promotes all divisions of your business to work together, since everyone is on the same page. You can see everything that your sales team is doing, and your sales team can see everything that your production is accomplishing. Allowing you to accurately relay this information to customers. As a business owner you can permit or limit individuals access to certain information within your organization. All information is gathered and are input into the CRM, which allows for less time to be wasted during customer contact sessions, since all knowledge regarding that particular customer is in one place, at your fingertips. The gathered information can help profile your most profitable customers, allowing you to target those similar. With all this information known it then becomes easier to cross-sell between like customers, and even up-sell, by utilizing the trends found in the collected data. This information works together to help you manage customer cycles as well. More information allows you to deliver better customer service. Specifically, you can manage each customer on a case-by-case basis. The CRM allows you to deliver quality customer service from any location, since the information can be accessed digitally from any device connected to the Internet. Keeping up with follow-ups in a timely manner can be a difficult task to manage. CRM provides automated notifications for all service calls and points of contact. After contacting customers this information is placed in the history of your CRM, providing you with a report of all interactions. 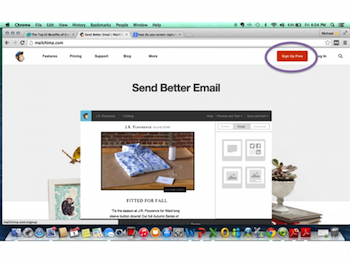 Tracking also provides feedback on what email is being opened and even clicked. Understanding what clients are doing with presented information can ease the creation of producing compelling content. A CRM collects this feedback. This allows you to manage your service goals, along with track your audits. Centralizing all of the collected information saves you time. As stated before CRM provides easily accessible information for all of your client history, project management and order transactions. You no longer need to be at the office or in front of your computer. Sales teams can overlap efforts by performing the same tasks as other team members; CRM corrects this. Salesmen have the ability to update accounts as they make contact with potential customers. These updates are then visible in real-time to your entire organization. A more in-depth analysis of visibility shows that CRM saves salesmen time through: territory management, calendar integration, assigning sales tasks and automatic notifications similar to those of administrative duties. CRM increases account values by letting the sales team view similar accounts to compare cross-sales and potential up-sells. On a personal level, since all information regarding customers has been tracked, salesmen can now create personalized messages to each client they seek to interact with. Based on the information that can be collected mentioned in the above processes, CRM can help you create a customized deal stage list, informing you what actions to take that have previously yielded the best results with existing customers. CRM tracks where each lead is coming from, therefore, you now have a scoring system for each marketing/sales method. This allows for simplified management of your goals, since the data is being reported in an easy-to-follow manner. CRM analyzes which of those leads converts into a sale. This eases the job for you, when it comes time to make decisions regarding your budget. Tools CRM provides promote effectiveness and efficiency for your sales team. Salesmen can now: track emails (when they are opened, how often they have been opened and whether the customer interacted with the email), easily manage quotes, share activity throughout the team openly, more accurately measure sales forecasts and access this information anywhere, even from their phone. Less time spent on the above, is more time spent selling. CRM setup seems overwhelming. However, you now have the opportunity to import all of the data you have placed in various locations over a period of years all into one place. This alone shows enough value to get started. Every business is different. Some may have a large sales team; others may rely on the owners to handle all of the sales. Sales are just one aspect where CRM can help your business grow, but the point is in order for CRM to be effective, you must have it tailored to your needs. There is not a one-size-fits-all CRM plan. Speaking with a business that implements and manages CRM, should help guide you in determining what is right for you. We offer these consultations for free. Click here to set up a free consultation with the KriXis team. We consider CRM to be back-end, while all marketing efforts are front-end. 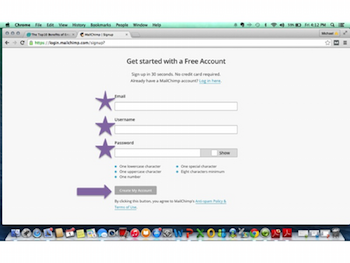 A properly set up CRM will capture all leads and information coming from your front-end efforts. This collected information will be organized, and provide measurable data. This is full integration of your entire sales funnel and pipeline, all being tracked in one location, without any extra effort at all, and it happens automatically. This is the beauty of CRM working with your other efforts. 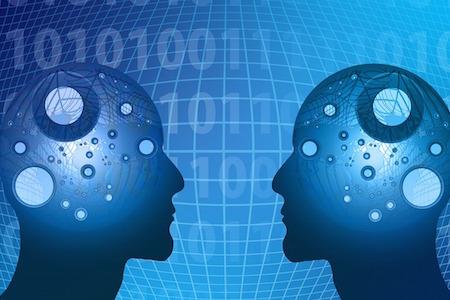 Value of back-end and front-end alone can help your business, however, the value of each exponentially increases as they both work together. Click here for more information on the integration of services. Thank you for taking the time to read through this article. It was lengthy, but we wanted to ensure an understanding of what new technologies can bring to your business. We encourage you to share this with other business owners, and welcome any comments or questions that you may have. If you are realizing it is time to explore options we encourage you to click here to begin our next article, or click here to set up a free consultation to uncover the best-suited options for your business. 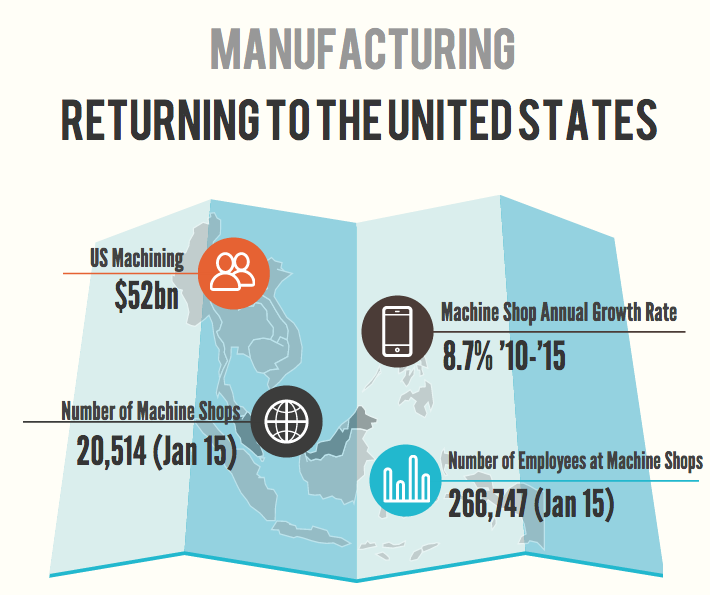 Manufacturing is returning to the United States. The Washington Post has even claimed, “The U.S. is poised to be a rising star in manufacturing.” However, losing business continues for your machine shop. You have been doing what worked for years, but the results continually worsen. Losing business is a difficult question to face, but the sooner you do the better off you will be. Looking at the numbers the machining industry has had an annual growth of 8.7% from 2010-2015. This growth is expected to continue for products produced by milling, turning, grinding, EDM and ECM. With a constant increase proven by nationally collected data, why are you losing business? To answer this let’s take a look at the ownership of these rapidly growing machine shops, as well as the ownership of companies they provide services for. According to the census only 11% of business owners are over 65, and 53% are between the ages of 34-54. These owners are also highly educated with 64% of them having some college education. Numbers are great, but here is what they mean. Tend to be on the older end of that spectrum. Many are set in their ways that once yielded tremendous results, and opposed to change, or taking risks. Even though they believe they are not taking risks they are still losing business. Not changing is arguably the greatest risk that they take. Tend to have the majority of the higher education. Generally speaking they are also younger, and more willing to take risks, and less set in their ways. Lastly, the youngest working generation is known for entrepreneurship, many opening up shops according to their learned trade. As a machine shop owner you need to market yourself in front of the right audience, the right way. This is common sense, but not executing this is why you are losing business. Younger generations had an easier time adapting to technology. Their higher education also forced them to become efficient with it. These owners are not getting news from the paper, nor reading the classifieds, they are using their smartphone. News is just the tip of the iceberg. They are finding everything via the Internet, and increasingly less by desktop computer. As younger and younger business owners emerge, the rate of technological fluency drastically increases. For simplicity purposes lets say John Smith loves to work on cars. He is 28-years-old and wants to focus primarily on custom work so he starts his own business. John Smith tells all of his friends on Facebook about his business, and they are all supportive. When was the last time your machine shop gained this type of support on Facebook? When was the last time your machine shop did any marketing on Facebook? The late Steve Jobs gave a fantastic 6-minute presentation that should be used to guide your marketing efforts. His talk is especially applicable to your online efforts. John Smith is now building a drag car; he needs to have his flywheel machined. John Smith is not going to look in the Yellow Pages or the local newspaper. John Smith immediately turns to the Internet, and finds exactly what he is looking for locally. Would you have been his search result? Lets call the Internet present machine shop “shop X” and the traditional machine shop “shop Y.” Shop X decided a while back that traditional methods of marketing were going to be revolutionized by the Internet. They embraced technology early and continually built upon their initial investment. Shop Y has been losing business even though the industry has been growing year-after-year. This has allowed companies like Shop X to grow exponentially faster than the market. I’m sure that you know a competitor that grew faster than everyone else, or it may have even been your own machine shop. However, if you are the shop losing business refocusing your marketing efforts digitally will make all the difference. The machining industry is going to continue to grow in the United States, make sure you are getting your piece of the pie. Social media is a term familiar by everyone in today’s technological age. I’m sure you have utilized it to reconnect with old friends and update loved ones with what’s new in your life. However, social media also has business application, even in the machining industry. Unlocking these capabilities for your machine shop requires effort and a well-thought strategy. After reading this post you will have a better grasp on the most applicable platforms for social media, and how to properly use social media for your machine shop marketing. You will also learn 3 benefits social media can provide for your machine shop marketing. I am a firm believer in simplicity, and social media should not add complications to your machine shops marketing. Saying this, I am going to suggest limiting your social media efforts to 2 platforms, LinkedIn and Google+. It is easy to get lost and spend too much time attempting to master and get the most out of social media, be time conscience of your efforts. Before I go into more detail on why just these 2 it is important to address that social media adds to the foundation that your machine shop marketing campaign has already built. The base of this foundation being your website. It is key to remember that social media is a funnel that leads potential customers to your website. Therefore, without a website that showcases your machine shop and your capabilities, you are setting yourself up for failure. You can learn more of the importance of web-design by reading our previous post. LinkedIn is the social media platform for professionals. This is where you can connect and meet with others within your industry or those looking for your machine shop services. Below is a screenshot of my personal LinkedIn profile; you can click the image as well for an opportunity to connect with me. You can also create a LinkedIn page for your machine shop. 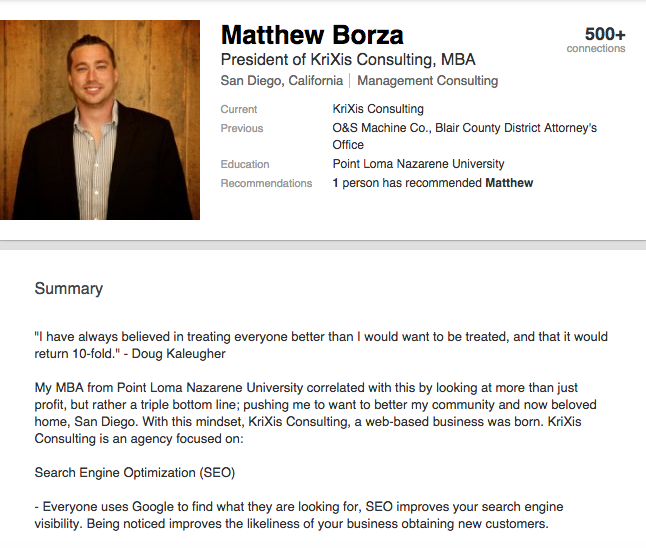 The below screenshot displays KriXis Consulting’s page, clicking it takes you to our profile as well. Now that you have a visual, let’s cover why LinkedIn is essential for your machine shop marketing. You are able to search other connections by industry. This can be useful in multiple ways. First, you can connect with those within your own industry. Contracting and Sub-Contracting is a common practice within machining services, the more connections you have within your industry, the more likely someone is going to reach out to you regarding potential business. Second, you can search by industry in which you specialize or wish to penetrate. Lets say that aerospace is your specialty. You can search companies or leaders of companies within that industry and connect with those individuals or organizations. At this point you as the machine shop owner have a few options; you can message them directly using “InMail” or actively comment on posts by those individuals or organizations. This interaction will move you from a random person online into a category of person of interest, you can continue to build this relationship, and nurture it into what matters, business. You can showcase your machine shop work or services. Say you finished a big contract for GE; you took pictures of the work for your own portfolio and moved on. However, you were seconds away from letting the entire LinkedIn community know just how great your machine shop is. All you need to do is upload the pictures and a brief description and click post, results from this would not be immediate but I can assure you that people will take notice if you continuously post superb machining work. This may be a bit surprising since Google+ is not used by most people, nor nearly as popular as platforms such as Facebook or Twitter. However, Google is where most people are searching for everything, and although not disclosed by Google, a reasonable person would assume that using a Google social media service would positively affect the search results that Google provides. 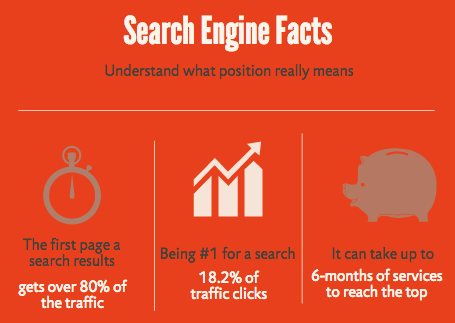 The boost in search results ultimately provides your business with more visibility. More visibility equals more traffic to your foundation. A pristine foundation equals more business. Therefore, Google+ equal more business for your machine shop in the long-term. 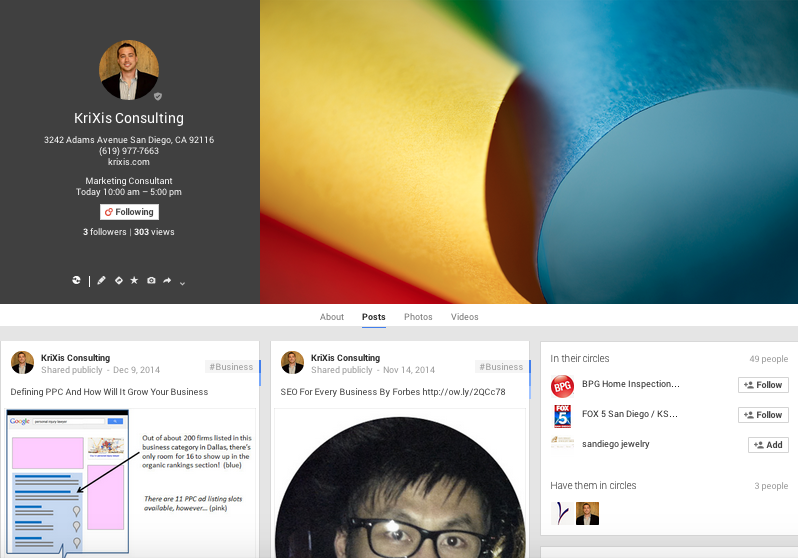 Below is a screenshot of KriXis’s Google+ profile, we invite you to click and connect with us. As you can see you can post updates, just as you can with LinkedIn. Machine shop marketing should focus primarily on posts that can be placed in each of their social media platforms, allowing one piece of work maximum exposure, increasing the likeliness of conversions. This is known as leveraging your content. There are a ton of options for social media platforms usable for your machine shop, I suggesting making a start with just these two. However, once you get a handle on these and if you have the time, I suggest exploring other options. Feel free to contact us if you have any other questions as well. So you now know what platforms to start with, but the question remains of “what do I post on these platforms?” The question is easily answered by looking at what you are already using personal social media for, which is to become updated with those that you care about. The individuals that you are currently following are not trying to sell you anything by any means. If your cousin, the car salesman, is constantly posting car prices and deals you would more than likely consider “unfriending” him. It would be annoying and clutter the things that you actually want to see. Your machine shops goal should be to avoid being the clutter, and become the “want to see” material, and that’s the key to success, simple as that. Lets begin with “if your machine shop had a face.” What would you want this face to look like? The slick-backed-hair used car salesman, or the uncle who always told the best stories? Take out a piece of paper and brainstorm ideas on the following, “what are my customers asking?” You know your niche better than anyone else, and I am sure you have been asked a ton of questions by potential clients. Use social media to answer these questions that have been asked. You can also think of questions that you might be asked and answer them. 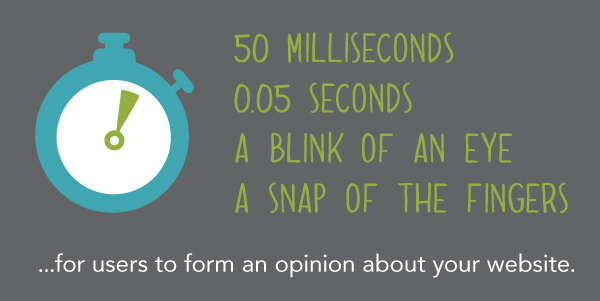 This builds credibility, and keeps people interested in what you are saying. As stated above, post your work. Your machine shop completed a big project; share it via social media. 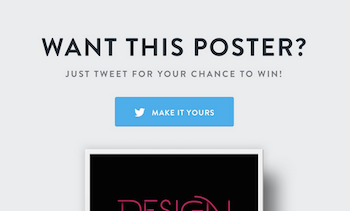 Be sure to include pictures as well. Strike up a conversation. 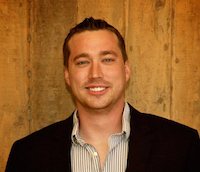 You want people to be engaged with your machine shop’s social media platforms. Commenting on posts by others can start this; eventually they will reciprocate with your machine shop. Social media takes time and patience, but you will see results. These are just a few examples of how social media can be utilized for your machine shop marketing. The more your machine shop becomes involved, the easier social media engagement will become. So you now have an understanding of how your machine shop can use social media, and what platforms could be utilized. However, I want to provide you with 3 benefits that I consider the most important when integrating social media into your machine shop marketing campaign. Lets take a look at all relationships. The more time you spend keeping up to date with someone, the stronger the bond. This translates to social media as well. If you are engaging regularly with potential customers, you are building a relationship. This relationship will lead to more work for your machine shop and potential referrals from those you frequently engage with. As you follow the above plans regarding social media you will gain followers within targeted industries. You can take these followers or those you are engaging with and put them in a list for future business for your machine shop. After sometime you can choose to call them or reach out to them outside of social media. They are no longer a “cold call” but rather someone accustomed to engaging with your machine shop. I am assuming that you already have an understanding of SEO. If not you can read how SEO affects your machine shop. Social media is being factored into SEO. 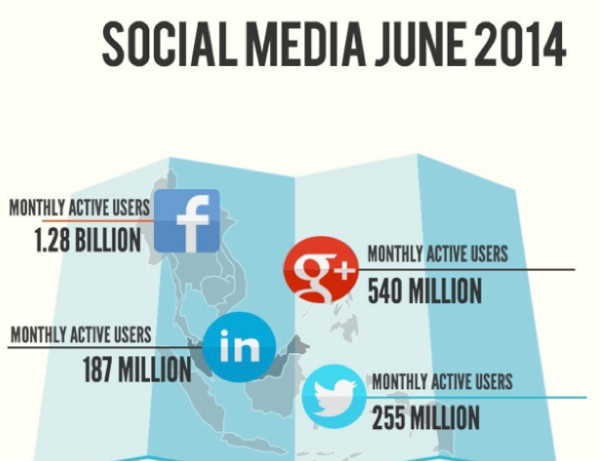 The more activity found on your social media accounts, the higher you will rank. SEO is essential for your machine shop marketing, and social media is another boost to help you along the way. As you can see there are many benefits for your machine shop when utilizing social media. These benefits vary depending on the amount of effort that you are willing to put in. I want you to keep in mind that social media posts are visible to everyone. 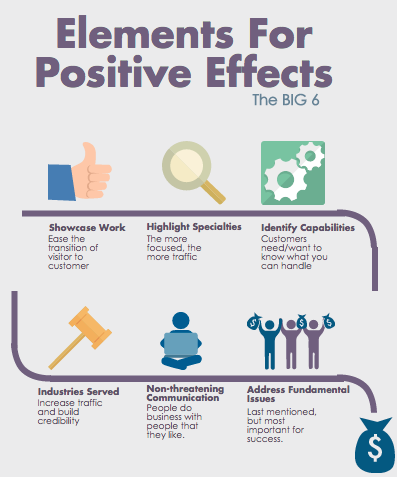 These posts will have a reflection on your machine shop, and I’m sure that you want that to be positive. This is why I suggest you, the machine shop owner, look over all posts before they are submitted, and give access to these accounts to someone that you trust. This should be fun, and show you results, and I look forward to hearing stories of your success. We are giving away a free consultation to those who read our posts; it is our way of saying thank you for your time. As always, we hope that this was beneficial to your machine shop, and look forward to sharing again with you soon. PPC may be something that you have never heard of, but it will generate your machine shop more business if done correctly. After reading this you will have an understanding of what PPC is, and how it can affect your machine shop. PPC stands for Pay-Per-Click advertising, meaning you pay a small fee each time someone clicks on your machine shops ad. 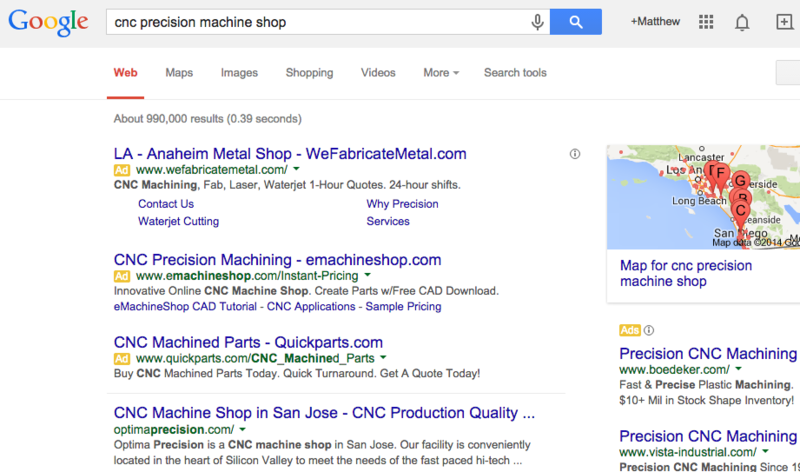 The image below is a screenshot of what Google found for the search query cnc precision machine shop. Note the top three results, and the two on the right hand side. These are the results of a PPC campaign. You can also see bolded words within the appearing PPC ads matching my search terms, and that they all contain each of the words I searched. This exact keyword matching is what will allow your machine shop to specifically target a niche. More specific niche searches are more likely to convert to customers rather than someone searching a broad term for informative purposes. Keyword planning is the most important factor when creating a successful PPC campaign for your machine shop. Google provides tools to allow you to view the frequency of searched terms and phrases. I suggest hiring an expert to develop a keyword plan with you, but if you want to try for yourself Google Adwords is where to begin. I suggest following the acronym – CNC – for your research. Constantly refine, research and update your search keywords. Put yourself in the customer’s shoes and think about what they would be searching for prior to making a purchase. Not only niche, meaning, less common searched for terms could still be effective and prevents your machine shop from leaving money on the table. Cost, Google charges you based on the competition for a particular word or phrase. You may want to make some adjustments to like terms, which in turn allows for more clicks for your budget, and more clicks equals more sales. I also want you to look over the wording and appearance of each ad from the above search query. 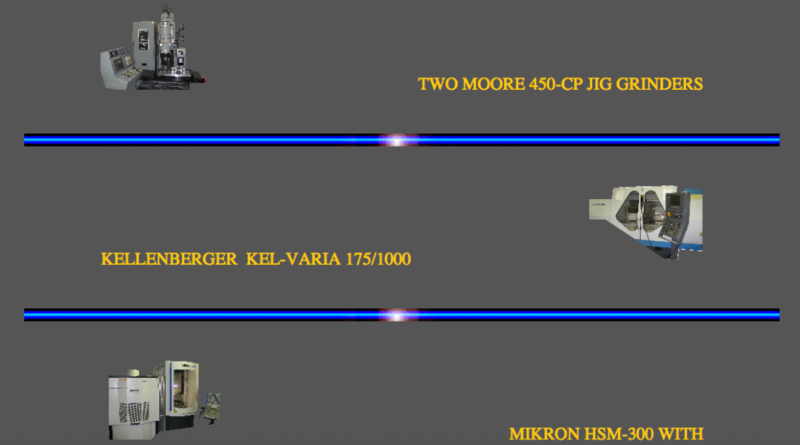 Determine which machine shop looks most fitting based on what I searched for. This PPC ad setup and layout is something I suggest leaving to an expert, getting serious buyers to click is what matters most. The video below provides further explanation of PPC if necessary. Your machine shop was spotted by your exact target customer, they clicked your PPC ad, but what happens next? Based on the above search I decided to click on an ad, the image below shows where this led me. 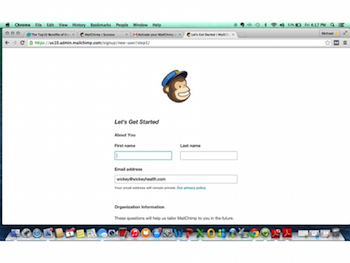 This is called a landing page. Notice how this page is setup with basic information pertaining to my search, while including a call to action that gives this machining company a direct warm lead to a client whom is looking for a quote. 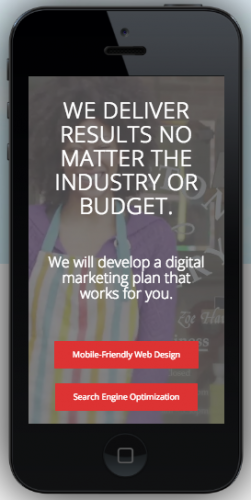 These landing pages are another essential piece of the successful PPC campaign pie. They are the difference between gaining a customer and having an individual exit your website. 1. Niche customers ready to buy will see you at the top of Google. They know what they are looking for, and your machine shop matched their search exactly. Sale complete, and both parties are happy. 2. You can create multiple campaigns to match multiple specialties and the industries they service. Each ad is custom tailored to a particular need and a landing page can be made for each as well. This level of professionalism sets you apart, sale complete, and both parties are happy. 3. Easiest way to measure ROI. You set your budget, which determines the amount of clicks, not appearances (these appearances even if not clicked, build your machine shops brand). 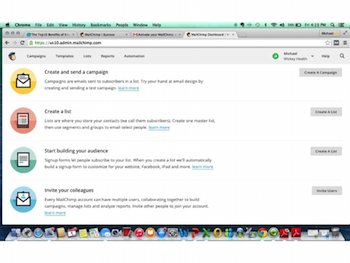 You can track or have your outside help track how many leads are coming from each campaign. This allows for agile investing into effective PPC campaigns. I want you to keep in mind that all strategies should be focused on gaining a greater profit for your machine shop. Many people get lost in just seeing an increase in traffic to their website. A PPC campaign is one of the most effective strategies, and possibly the most effective as you begin your digital efforts. This is due to its immediate effect, while SEO takes time. If you are interested in launching a complete long-term campaign, click here; but if you would like to start smaller, click here. Thank you for your time and I hope you gained a better understanding of this strategy and its importance. These days everyone has a website, however, the quality ranges drastically between them. Many people believe having a family friend or creating the website themselves is a viable option. Yes, this is cost-effective, but the hidden and often undiscovered opportunity costs far outweigh the initial investment. 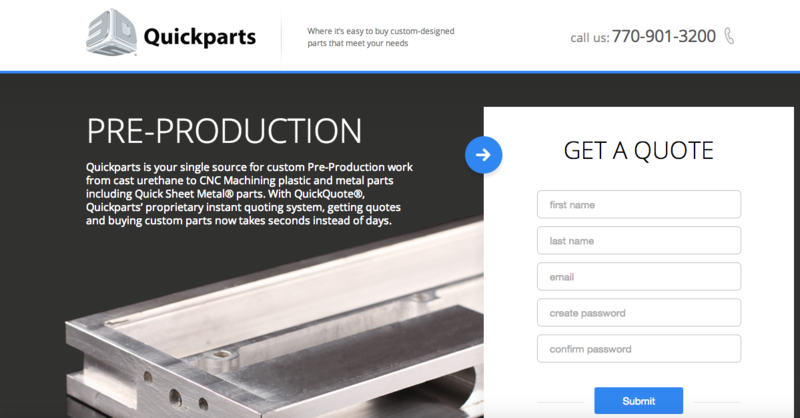 Your machine shops website should have 3 main goals: first impression, functionality and being up-to-date. Each is essential to having your website be your shops best employee. Internet users admit to making credibility judgments based on design, and that first impressions lead to higher customer satisfaction. Lets further break this down into credibility of the business and of the business owner. 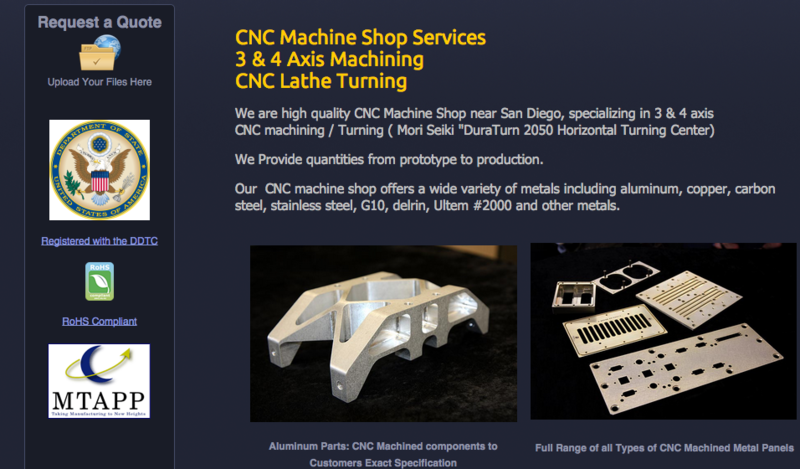 Here are two examples of machine shop websites, one with a great design, the other poor on a good day. Both of these examples have been created to provide customers with the machine shops capabilities. The difference is obvious. Who would you rather do business with? Based on what was seen above how do you envision each owner? Lets start with the poor website, assumptions of the machine shop owner include he/she . . .
. . . is technologically backwards . . .
. . . does not care what others think . . .
. . . is alright with advertising themselves poorly, imagine what their product is like. As for the second example, one would assume he/she . . .
. . . realizes times are changing, and strives to be one step ahead . . .
. . . puts extra effort into something most others avoid, imagine what he/she will do for a customer . . .
. . . does not cut corners, and is proud of his/her brand. These are just to name a few, but I am sure that you get the picture. 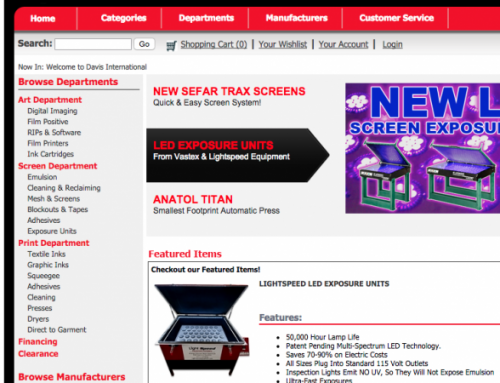 You can see that appearance is important, but it isn’t everything, your machine shops website needs to function as well. Time and time again people look at a website as just something to “check-off” from a list of necessities. Nothing could be further from the truth. Your website is potentially the best employee you could ever hire. 24/7 your website will be working for your machine shop. It never gets tired, never takes a day off, nor slacks on work. However, your website is only capable of delivering results that you have prepared it for. You may have never looked at your shops website from this angle and I hope a light bulb is turning on for you. The website should be funneling you sales at a very minimum. Pictures of your team, and the history of your machine shop are great, but is that what generates you business? Absolutely not, people want to know if your machine shop can deliver the results they are looking for, which takes planning. It would be best to put yourself in the shoes of your target customer, and brainstorm questions that your target market would be asking. If you are able to pinpoint these questions, and answer them correctly, business for your machine shop will flourish. I also suggest checking out our previous post, which sheds light on other aspects required to create a functioning website, you can click here to get there. People no matter what industry or business find new methods of marketing and move on from the old. Many people, especially machine shop owners, once began strong online, but allowed their efforts to fizzle out. It is key to remember the Internet is not for overnight success, it takes effort and patience. As you can see this has not been updated in quite sometime. I can assure you that potential customers for this shop have noticed this as well. The above example is obvious since it is dated, but customers also look at content that is found on a website. These customers will notice old content. This is likely to deter them from coming back frequently; nobody wants to see the same thing over and over again. Frequent visitation keeps your machine shop on their mind. You being on their mind will bring your machine shop more business. It is best to start simple, which is why I am providing basic elements to a successful website. You should do your homework and look at your competitors. See who has created the most professional appearing websites, and determine what they have done to achieve this. I suggest doing the same for determining trustworthy websites as well. We have all struggled to find what we are looking for online. Make sure your website provides navigation with ease. Keep it simple and to the point. Do this as often as possible. Place your business name throughout the website frequently and make sure that it stands out, just don’t go overboard. A good rule of thumb is to keep all branding placement natural sounding if you were to read it aloud. This has been mentioned twice now for a reason. Not only will it benefit you in acquiring customers, but it will make your website more search engine friendly, since search engines such as Google look for freshly updated websites. If you are struggling with this pictures of recent machining and descriptions is a great place to start. The Internet is the future of advertising. 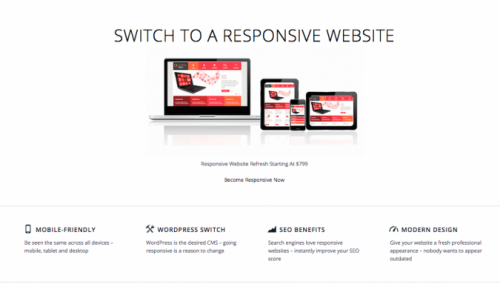 This makes your website the future of acquiring new business. Don’t believe me? 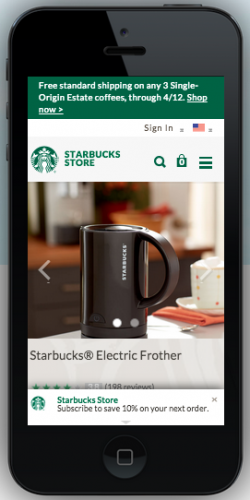 Up to 83% of people are visiting a companies website prior to making a purchase. Take your time with this, and be just as proud of your website as you are of the products you produce. Thank you for reading. We look forward to sharing again next week. Search Engine Optimization (SEO) may or may not be a term that you are familiar with. Those who have heard of it may believe it to be something they do not need, and to those whom never heard of SEO may think that they have not for a reason. However, a few minutes of your time will change your outlook and can have a significant impact on what matters to you, your bottom-line, if you don’t believe me after you finish click here for Modern Machine Shops advice. Before I dive into explaining the 3 reasons SEO will work for your machine shop, an understanding of what SEO is will build the needed foundation. keywords. If someone searches CNC machine shops, they receive a list of results. SEO is the strategic tool that puts your shop at the top of that list. 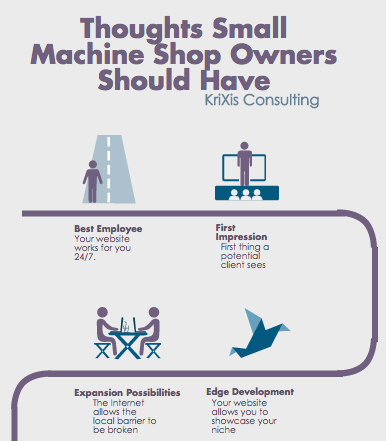 The higher your machine shop is on that list, the more likely a customer will click onto your website. I will provide an easy to follow example below. You are a CNC machine shop in Dallas, TX. You have just hired a professional to build you a website to showcase your 5-axis capabilities, and the website looks great. 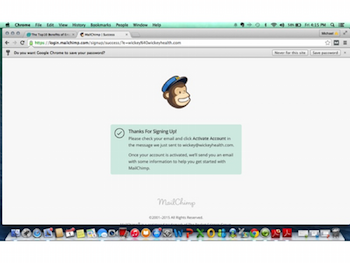 You wait for new customers to contact you. A week goes by, and then months, and you are starting to feel like you wasted your money, and now believe that the Internet is a terrible investment. This is the kind of story every real digital solutions provider dreads to hear, and here is why. You were just handed a 1967 Shelby Mustang GT-500, and it is a thing of beauty. You jump in the drivers seat, put the key in the ignition, turn it, but nothing happens. Confused you pop the hood, and are shocked to see that there is no engine. You cannot believe you just bought what looked to be a pristine car, but soon realize it is worthless. Let me connect the dots. The car represents your top-of-the-line website, and the engine represents SEO. Without the engine the car/website is . . .
With the engine your car/website . . . The video below is another easy to follow explanation of SEO incase you still need some clarification. Found Here. Now that you have an understanding of SEO, it is equally important to see how SEO will affect your machine shop. Here are 3 key reasons SEO will be important to your machining business. Whether you have or have not embraced technology, your customers have, and that is what matters most. If you have embraced technology I want you to think about this. You and your significant other are on a trip to the Florida Keys, after exploring for the day you are both famished and looking for the best seafood option to cap off an amazing day. You pull out your iPhone and search “best seafood restaurants.” Google knows where you are located and immediately delivers results for you to select from. Being hungry you click the first option after noticing good reviews, obtain the address, and you are on your way. looking for a specific type of restaurant, and Google knew this based on what you were searching. The SEO specialist knew that searches for that particular phrase indicate a true buyer, and based off that knowledge he/she needed to get his/her client to be at the top for that word. This is called inbound marketing. This means that you are only being marketed to the people that matter. As a comparison, lets look at placing an ad for your machine shop in the local paper. Say 50,000 people monthly are reading the paper, but only 2,000 look into the classifieds, and 5 people might care about machining, but those 5 are already in the machining industry, and 4 of those 5 are your relatives. However, SEO allows you to have everyone who sees your ad actually be interested in your ad. My research shows that per NTMA chapter area 110 searches for machine shops are being conducted. Make Your Shop The Authority. 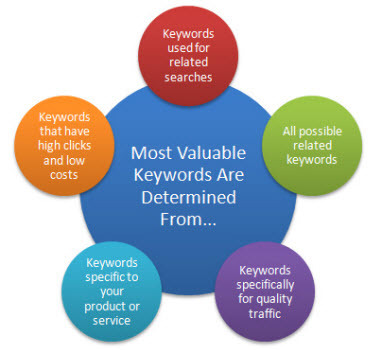 Seeing the importance of ranking for a particular keyword or keyword phrase should be starting to become clearer. The second reason we at KriXis Consulting have selected is just as important as the first. The word “authority” is more than likely throwing you off, but there are plenty of different versions of authority, ranging from the local police to the President of the United States. Looking at both examples, and all other examples you can think of regarding authority, a common trait is respect for what is asked for. Being the top spot of Google for a given search is website authority, as long as you are commanding for it, SEO triggers this. Google has placed a particular website above the others due to Google’s belief in that website being exactly what a customer is looking for when searching for certain words. People making these searches trust Google as well, and believe that Google’s selection is the best option for them. SEO is asking for the top spot on Google, and a professionally optimized website gives you this, leading to your machine shop becoming the authority. The above graph shows how many searches on average are done per NTMA chapter area per month. If your website is not at or near that top you are invisible to those perspective customers. It is easy to see that being in the top three is essential, and being in the top ten is vital to being seen at all. You may be saying to yourself, “how many of those searches are actual buyers,” and this is a legitimate concern for anyone contemplating hiring SEO services for their shop. I want you to think about this though. I have regularly built Mercedes AMGs on the local dealerships website, but I have never had intent to make the purchase. This may be a strange comparison, but think about the difference between the Mercedes AMG and a CNC machine shop. People always search cars for fun, but people are not searching machine shops. The only reason someone is searching for a machine shop is if the individual is a machinist looking for work or looking for machining services. Having that cleared up look at the number of searches and multiply that by the percentage of your desired rank on Google. To make this easy lets say your machine shop is number 1 on the search results and 100 people searched that month, that is a total of 36 customers going to your website. To play it safe lets say 2/3 of those heading to your website are looking for work. This leaves you with 12 potential customers for that month. We can again play it safe and say 1/3 of those potentials become customers, giving you 4 new customers for that one month. All you need to do now is simple math to determine if: (average profit margin per customer) X 4 > (cost of SEO fees). This should be a no-brainer either way. Our integrity at KriXis Consulting means everything to us. Saying that, it is only right to tell you that SEO is not an immediate fix; it is a process that takes time to achieve. However, when combined with other solutions, all of which included in our phase 1 package, this process is sped up and will show better results. The purpose of this article was to show you how important SEO is in order to grow your business, especially in today’s technological era. If you are currently advertising in the newspaper and/or Yellow Pages I’m sure you have been seeing less and less of a return on your investment; this is due to people going digital to find what they are looking for. 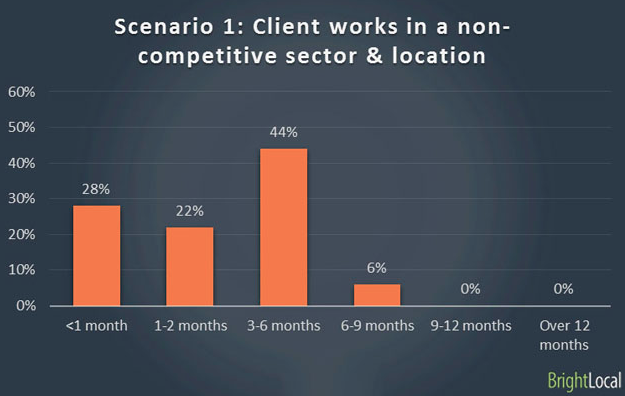 Those long-time referrals are selling their businesses and new ownership is coming into effect. These new owners are looking online for machine shops to work with; you are only lying to yourself about this and it will only hurt in the long run. How many hours a day are mills and laves sitting idle, they can always work; I don’t know a single owner who doesn’t want to run multiple shifts. Thank you for taking the time to read this, and I look forward to sharing with you again next week, more of our work regarding SEO can be found by clicking here as well. Feel free to comment below, we would appreciate all comments and would be happy to clear up any questions.